How Do I Join a Rotary Club? All Rotary Clubs welcome new members. It’s not difficult to join a Club, but all Rotary Clubs are “by invitation only” and there are several kinds of clubs. With that in mind, we invite you to consider joining us! Rotary is 1.2 million active, involved individuals in 35,000+ clubs worldwide. We are both an international and a local community organization. Together, Rotarians lead and contribute to positive change in our own backyards and across the world. The best way to obtain an invitation is to attend a regular meeting of the club you’re interested in joining. By doing so, you’ll get a sense of the club and the level and type of activity it’s engaged in, and you’ll have the opportunity to meet and talk to club members. Most Clubs meet once each week, though meeting times vary from club to club. 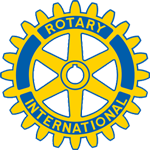 Search for “Rotary Club (location)" online, look in the local section of the paper, or ask around - nearly any community in the United States of any size has a Rotary Club at work in it. Another way to join is to visit Join Rotary online at https://www.rotary.org/en/get-involved/join, and ask for help in joining the type of Club in which you’re interested. Rotary Clubs are for adults 18 and older. In larger population centers, Rotaract Clubs attract members 18-30 years old, while the Rotary Clubs attract members 30 years old and older. More rural clubs, or those in smaller communities such as ours, attract members from 18 years old on up. Interact clubs are for high school students, 12-18 years old. Our club, for example, includes members from 18 to 92, and sponsors the Chimacum High School Interact Club. Rotary Clubs are focused on taking action to improve their communities and the world in general. All clubs are open to men and women, and are non-political and non-religious in nature. Most clubs meet weekly and include a presentation of interest, as does ours. Some clubs meet only online, and many maximize their time by alternating service projects and regular sit-down meetings. Sunrise Clubs meet for breakfast, others for lunch or dinner, while still others skip the meal altogether and focus on a shorter, more intense activity. Once you’ve attended several meetings, talked to members, and made the decision to ask for an invitation, the club will extend an invitation to you. When you accept and turn in your application, the Club’s Board will meet and let the club members know they’re in receipt of your application. Upon approval, usually within two weeks, the Club will accept your invitation and welcome you as a new member. New members will participate in an orientation meeting and be assigned a member to help them integrate into the Club. As a new member, you should expect to encounter a welcoming, inclusive environment. In other words, Rotary Clubs don’t initiate new members. Rotarians are expected to pay their club dues and fees on time, to participate in at least one committee and activity of their choice, participate in club fund-raising activities, and make donations within their means. Each club is different in this regard, but nearly all include these baseline expectations. Rotarians - men and women alike - come from all walks of life. The days when only the doctors, lawyers and businessmen could afford to join such clubs are long gone. The Rotary Club of East Jefferson County includes working mothers and fathers, college students, retired executives and military officers, teachers, educational administrators - in short, it is an active and involved cross section of the communities that make up the communities in Jefferson County, on the northeast side of Washington's beautiful Olympic Peninsula. We are proud to partner with Chimacum Schools, to lead and contribute to projects large and small within our local communities, to participate in international projects designed to reduce infant mortality and improve access to clean water in impoverished rural communities in Honduras and Ecuador, and to contribute to the eradication of polio worldwide among many other projects. Wherever communities need active members, there you will find Rotarians. We meet Thursdays at the Tri-Area Community Center at 10 West Valley Road Chimacum WA at 11:30am for a very informal lunch. The meeting begins at noon. Each meeting includes a brief series of announcements, an interesting 20-25 minute presentation followed by questions and answers, and concludes promptly at 1pm. Our website is www.ejcrotary.club. Check us out online, join us for a meeting, and talk to our members about why they are Rotarians!